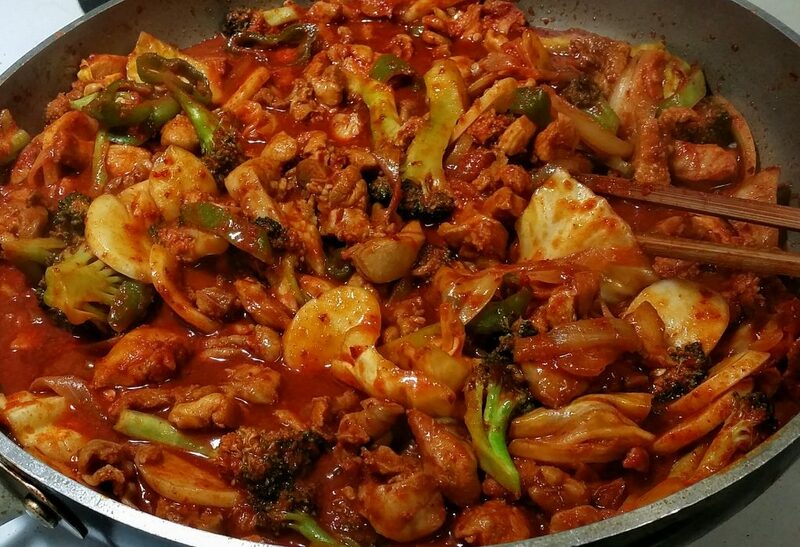 Dak-galbi (닭갈비), or spicy stir-fried chicken, is a popular Korean dish made by stir-frying marinated diced chicken in a gochujang-based sauce with sweet potatoes, cabbage, perilla leaves, scallions, tteok (rice cake), and other ingredients. 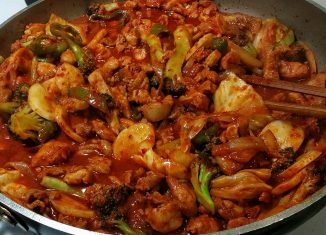 Many dak-galbi restaurants have round hot plates that are built into the tables. Lettuce and perilla leaves are served as ssam (wrap) vegetables. 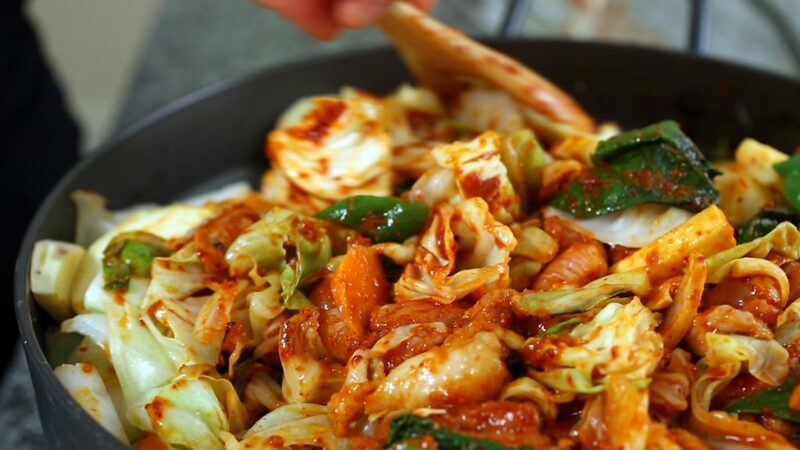 The dish is a local specialty of Chuncheon, and is often referred to as Chuncheon-dak-galbi. 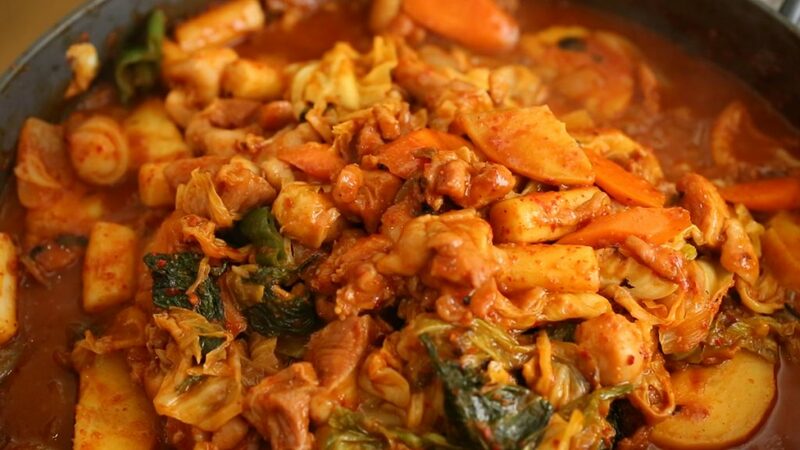 An annual festival dedicated to dak-galbi is held in Chuncheon, where there is also a dak-galbi alley with a large number of dak-galbi restaurants. Read more about korean BBQ.